"Imagine a future in which human beings have become immune to all viruses, in which bacteria can custom-produce everyday items, like a drinking cup, or generate enough electricity to end oil dependency. Building a house would entail no more work than planting a seed in the ground. These scenarios may seem far-fetched, but pioneering geneticist George Church and science writer Ed Regis show that synthetic biology is bringing us ever closer to making such visions a reality. 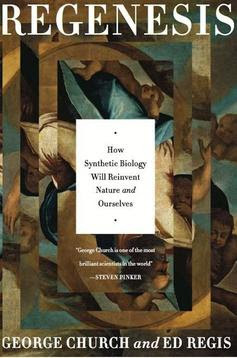 In Regenesis, Church and Regis explorethe possibilities—and perils—of the emerging field of synthetic biology. Synthetic biology, in which living organisms are selectively altered by modifying substantial portions of their genomes, allows for the creation of entirely new species of organisms. Until now, nature has been the exclusive arbiter of life, death, and evolution; with synthetic biology, we now have the potential to write our own biological future. Indeed, as Church and Regis show, it even enables us to revisit crucial points in the evolution of life and, through synthetic biological techniques, choose different paths from those nature originally took." Is Creating New Life — Maybe Even A Neanderthal — Possible?